THE MOUNTAIN FIREWORK COMPANY really are spreading their roots around the world! Four years since their critically acclaimed 2008 release ‘Samurai’, Brighton-based The Mountain Firework Company have released their next album entitled The Lonesome Losing Blues. 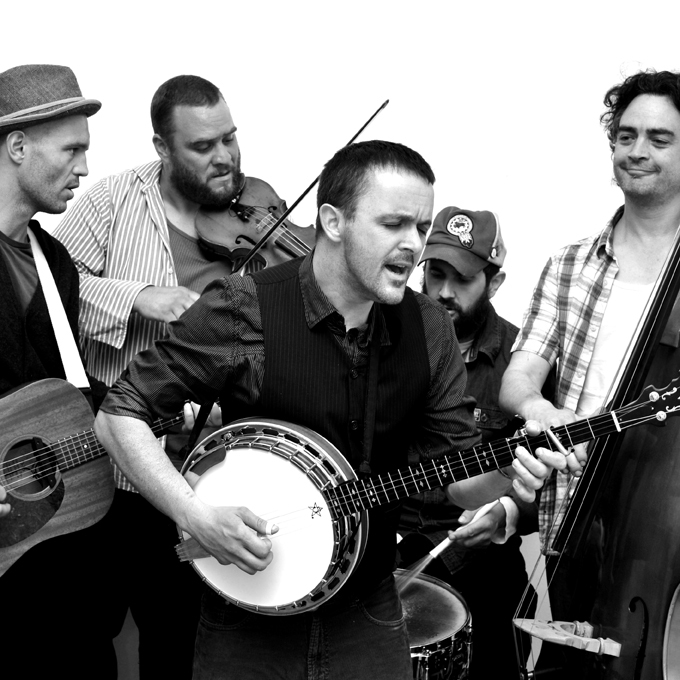 They have been gigging like maniacs in those years and building up a large fan base, mixing folk and bluegrass with a hint of rock. The band are led by Belfast born song writer Gareth MaGahan whose soulful vocals add further flavour to the interwoven musical styles. The band are playing the Chichester Inn late March as part of the Roots around the World gigs in the area. We sought out Gareth and this is what he had to say. ingénue: How did the band name come about? ingénue: It’s quite a leap from afro-punk, jazz and bass to acoustic folk music. How did the change happen? And was folk music your original love? Gareth: Folk was always in first place for me, specifically anything based around acoustic finger style guitar. The afro-funk jazzy drum and bass period was a direct reflection of the sort of music that was being listened to downstairs in the pub (which we all loved) but because we had no songs at all it just ground to a halt after a while; it never got past the rehearsal stage. The main thing for me was the singing. I had left the folky guitar troubadour type stuff alone for a few years because I wasn’t happy with my singing voice. I didn’t sing at all because every time I sang it was with a typically cod American accent… which is fine when you are playing country blues and the like but it just didn’t sit right with me after a while, it didn’t feel genuine. Then things just clicked, when I started focusing on writing actual songs again it just came naturally to sing them in my own accent, so then we began to re build the band around those songs. ingénue: What music influenced you in the early days of your musical development? Gareth: I first really got into music when I was nine, a cassette of the Rolling Stones Greatest Hits did it for me. After that it was rock and roll for years, specifically the Stray Cats. My family were musical – my mum, dad and uncle all sang and played folky country type stuff… music was always around. But it was getting into finger style guitar that really set me off; Davey Graham, John Fahey, Pentangle were never off the turntable and old blues like John Hurt, Skip James, Snooks Eaglin; throw in some Dylan, Pink Floyd (it was the guitar solo on ‘Wish you were Here’ that inspired me to pick up the acoustic guitar in the first place) Dub Reggae, John Mayall and with a huge dose of African music you are away. ingénue: How did the gig in Kansas at the Folk Alliance come about? Is this a first step on becoming an internationally known band? Gareth: The Kansas gig was thanks to Loudon Temple at Brookfield Knights, our industrious and resourceful booking agent and yes, that’s the plan. We are really chuffed to have been invited to showcase there and hope that it will increase our profile. We are also hugely grateful to the PRS international showcase fund for helping to finance the trip. ingénue: How are sales of the new album ‘The Lonesome Losing Blues’ getting on? Gareth: Album sales are good, whilst they haven’t made my bank throw me a party yet downloads are steadily on the up. The album got a lot of critical acclaim; there is plenty of room out there yet for people to have a bit of MFC in their lives. ingénue: What plans are afoot for the band in 2014? Gareth: Gigs, gigs and more gigs! We have a few high profile festivals confirmed that we can’t announce yet and we are busy organising some smaller tours, plus we intend to start on a new album; lots more material in the pipeline, folks!